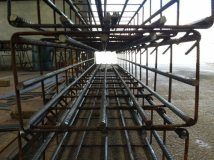 Pre-welded footing cages save time and improve accuracy on site. We can pre fabricate cages of any size or shape with or without starters. These can be made up in 6 metre lengths or lengths made to fit around perimeter of footings, removing the need to cut cages to suit. Precast units can be prefabricated into cages prior to delivery to the precast yard. This saves you time, handling and storage space, reducing costs all round. 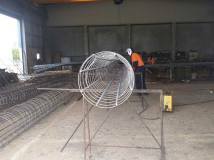 Prefabricated pile cages can be made to up to 18m in length and of any specification. 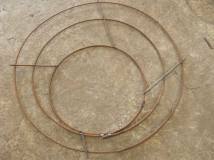 Reinforcing steel can be supplied cut and bent to any specification and tagged for easy reference. Retaining wall cages can be made to suit requirements and specifications.